Stalker or am i just unfriendly? Random Facebook Tip: Never upload a Photoshopped photo of yours as your Facebook (FB) profile picture, especially if you look like a famous alien in that photo. as my profile picture, i get something like this. A guy added me from FB, got my MSN from there and the images above were the conversations we had in MSN. I know it wouldn't be very nice to make these conversations public, i just want to know whether conversations like this are weird or am i just being paranoid here. I don't know. 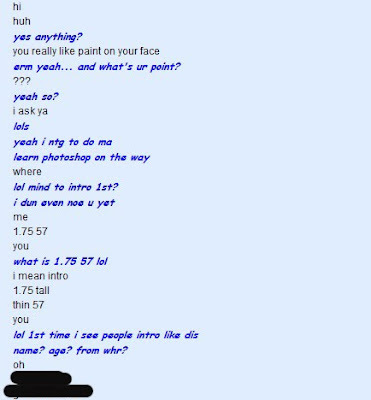 Somehow when a guy suddenly adds me and ask about my height and weight it creeps me out. Plus the fact that the nagging that i have always gotten from my mum have shaped me to be wary of random strangers. Strangely it only applies to males though. If some random pretty girl adds me in MSN and asks for my height and weight i would be happy to give her everything. I would also add in extra details such as how many hairs i have on my head or how many times per day. why do you want to add the unknown? btw, i think he likes you. well, i am sure he likes you. Hahahaha! 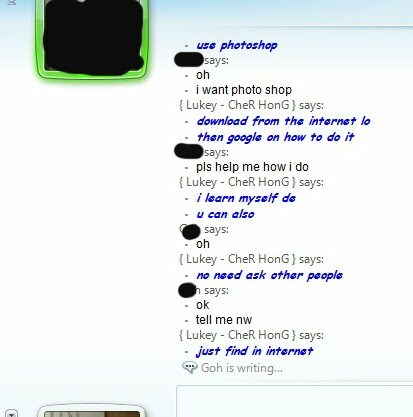 *can't stop laughing* He want PHOTO SHOP then go and buy one lo. Keke. 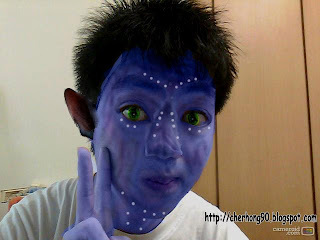 hahas then you can photoshop your picture into a not blue one! 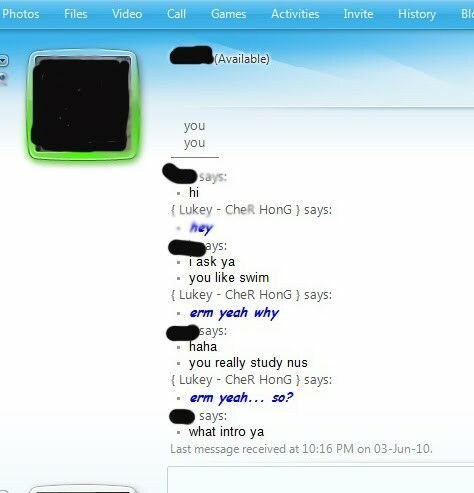 ;X and block that random guy in msn too! 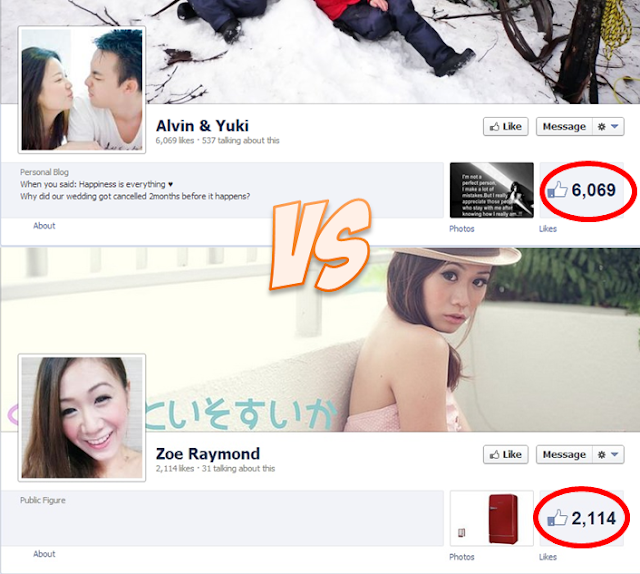 And the stalker's identity has been revealed as Goh.